'Blackout', 2012. 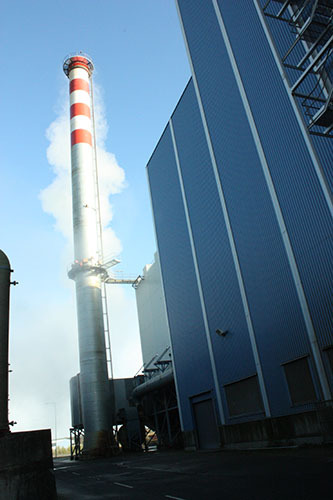 Four tonnes of incinerated peat ash from Edenderry Power Station, various transmission gears. 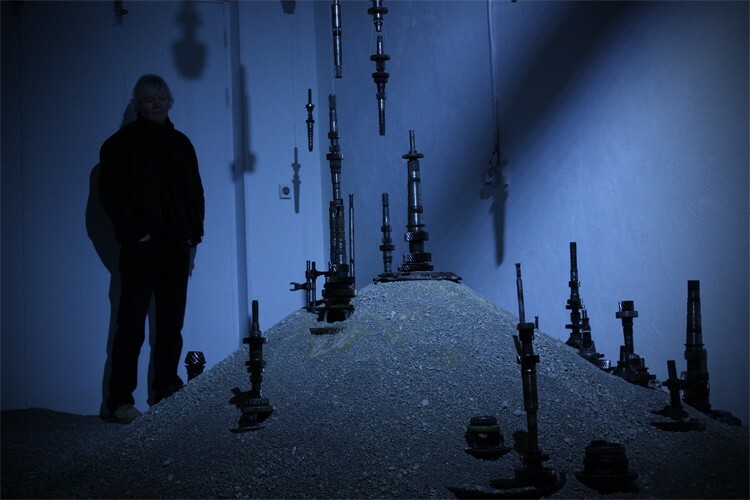 Joint project by Méadhbh O'Connor and Dave Madigan. From above. The ash was used to fill a room of the gallery. Process image for the project. 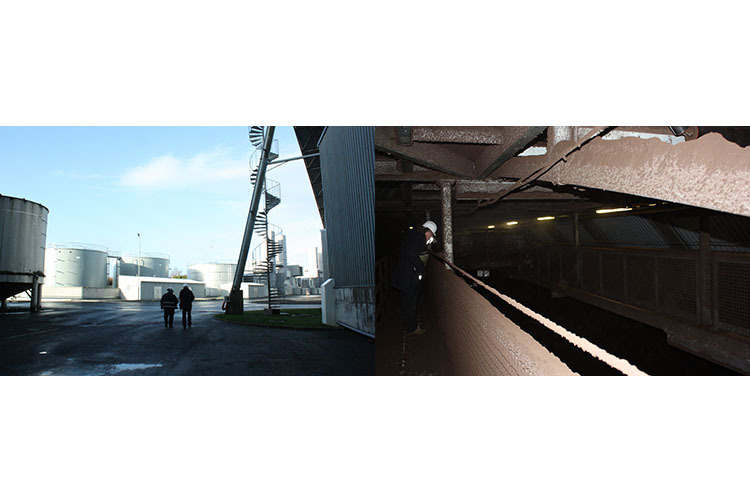 From the artists visit to Edenderry Power Station. 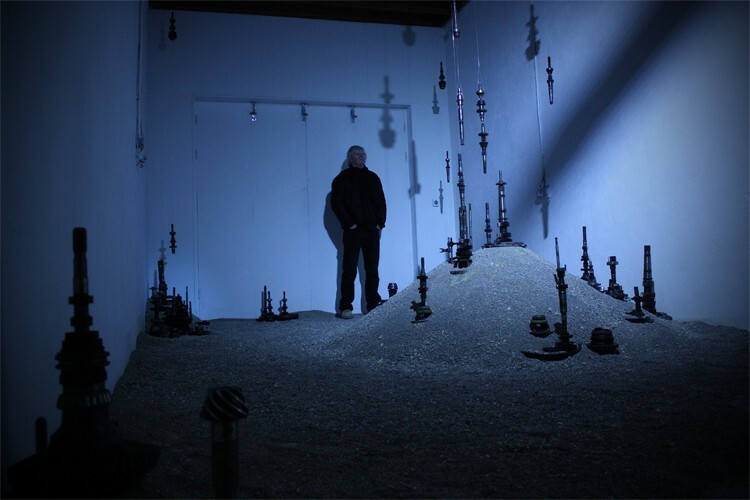 Blackout, a collaborative sculptural installation by Méadhbh O’Connor and Dave Madigan. 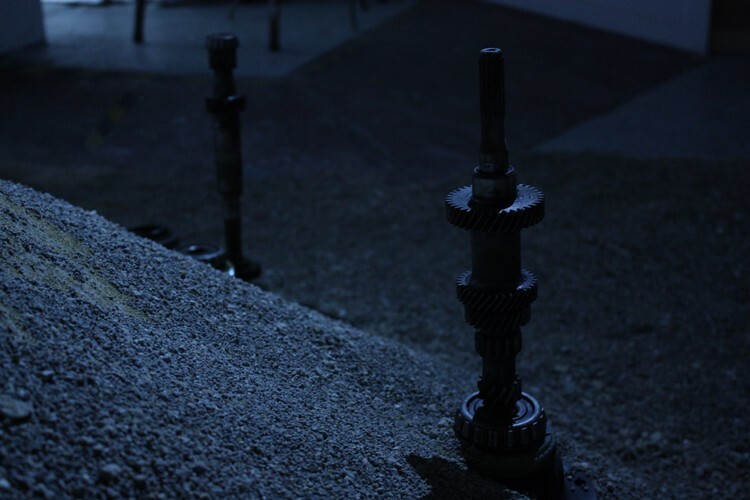 Presented at their joint show, Power Structure, at The Joinery, Dublin 7 in 2012. 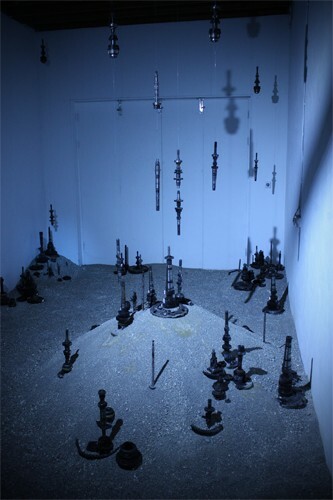 The installation composed of four tonnes of peat ash – the incinerated remains from Edenderry Power Station – and transmission gears embedded in and suspended above the ash. 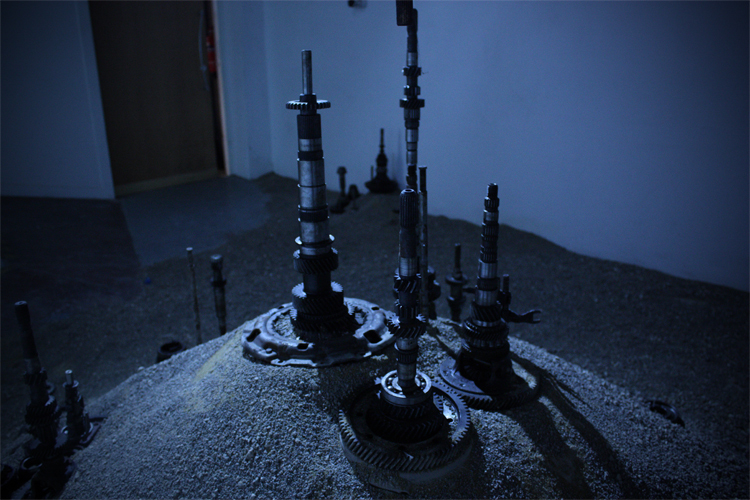 The artwork was a room-sized, immersive installation presented in a cold, austere blue light. Audience members were invited to walk on the ash (1). 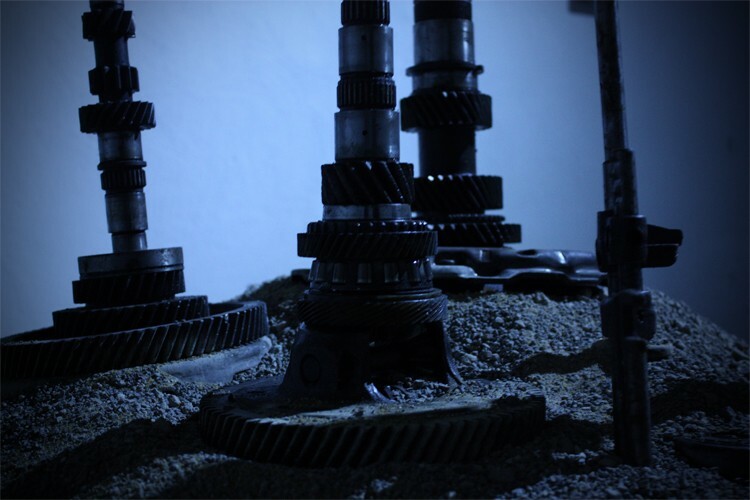 This artwork was part of a two-year collaborative project between artists Méadhbh O’Connor and Dave Madigan which explored complex interplays between technology, environment and economy. 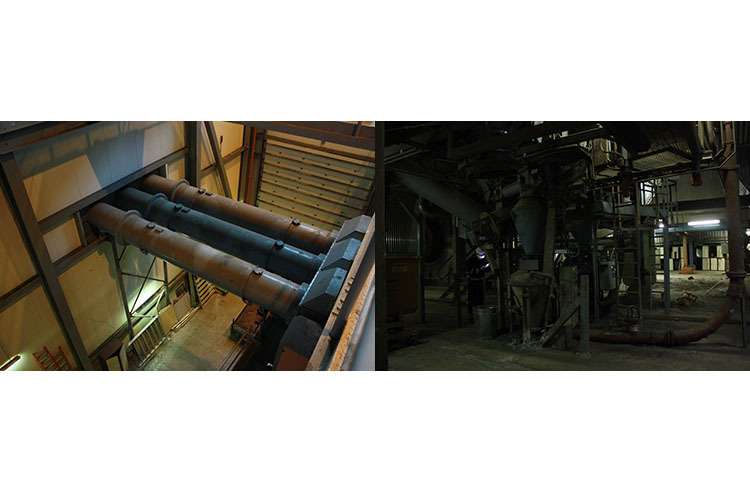 Other works from this series include Power Structure (photo series), Not worth your salt, powerS + √ roots and Gridlock. (1) Peat ash was selected for this installation as it poses no respiratory or carcinogenic health risks.